At MANIAX Sydney we have snacks such as chips, chocolate bars and non-alcoholic drinks available for purchase at the venue. We are close proximity (i.e. 5 min cab ride/20 min walk) to local restaurants on King Street in Newtown. Alternatively if you would like something more substantial to eat whilst at the venue, please check out our Corporate Packages here. 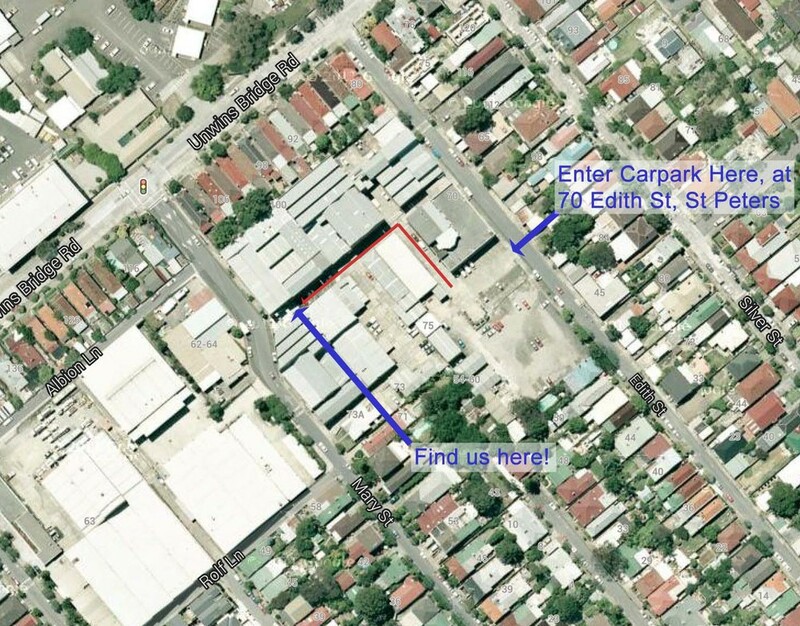 Enter the carpark at 70 Edith St, St Peters. Follow the directions below to our warehouse. we are a short 750 meter walk from sydenham train station. follow the directions below to find us.